The average new car costs more than $28,000, so consumers can’t afford to rely on anyone other than a top professional. Garavel CJDR near Stamford offers the highest level of Jeep service because of our technical training, state of the art equipment and factory specified parts. Dealers and manufacturers spend considerable money on continuous training to ensure that technicians are up-to-date to take care of RAM service needs. Many dealership technicians also are certified by National Institute for Automotive Service Excellence (ASE). Today’s technicians must be electronics experts as well as good mechanics. That’s why Garavel CJDR offers the most experienced technicians in the auto repair industry. Some diagnostic equipment for today’s automobiles can cost over $100,000. Only franchised new car dealers are required to purchase and use the equipment, and maintain computer links to factory service experts. That ensures they can handle any Chrysler service issues that arise. Our reputation depends on customer satisfaction, that’s why Garavel CJDR guarantees its repairs. Plus, original parts also carry additional manufacturer guarantees. All new cars today carry manufacturer warranties that specify maintenance schedules and repair procedures. 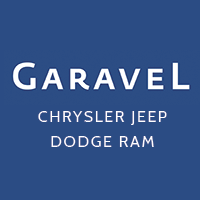 Service from Garavel CJDR eliminates the possibility of voiding the Chrysler, Dodge, RAM, or Jeep warranty for failure to meet requirements. Extended service contract policies can also be purchased from dealers for added protection. To ensure convenient service, Garavel CJDR offers extended service hours that include nights and weekends, an express service lane for routine maintenance and simple repairs, guaranteed time of delivery and offer “loaner” cars while major repairs are being made. Garavel CJDR has fast service priced competitively. Often, Garavel CJDR offers the best local price in Norwalk in addition to the best service. In both sales and service, satisfaction is the primary goal of Garavel CJDR. The best way to achieve this is to offer the best service support for your car at the best price.